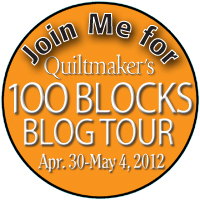 Welcome to the Quiltmaker's 100 Blocks Volume 5 Blog Tour! I'm excited to again have a block in this great newsstand special issue. I have all 5 volumes and love seeing the creativity!! My block was inspired by this stack of fabric. It is Robot Factory by Caleb Gray for Robert Kaufman. I knew I wanted to make something where I could fussy cut the robots. So I created this block! It's a wonky square in a square, but for those of you who are aren't ready to get wonky... have no fear it is paper pieced! I had big plans of making a quilt for Elijah from this block, but then Quilt Market prep went into full swing! Luckily I think he'll understand and be able to wait a few weeks! Here are some layout ideas. Alternate the block with a solid one. Set it on point and add some sashing. Make one block twice the size. The options are endless. Especially when you start thinking about how it would look in other fabrics & colors. You can also rotate the block so that it appears more wonky. Another option is to play with gradients of fabric. I think that Vanessa's new line featuring ombre would make for amazing blocks. 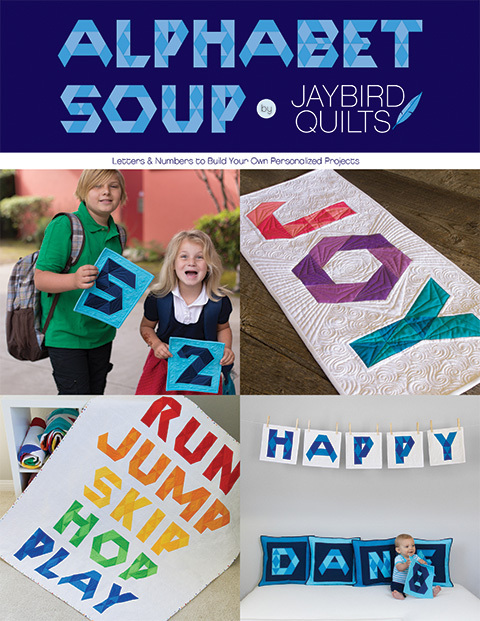 Check out Quiltmaker's blog for the full details of this blog tour & lots of opportunities to win more goodies! If you are interested in purchasing a copy I have some available in the shop! 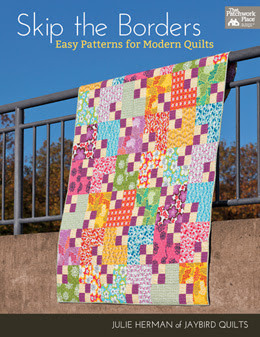 Quiltmaker is offering a copy to one lucky person! Details on how to enter the giveaway are below. THE RULES1. Leave ONE comment to enter. Tell me what fabric you would use to make my block. --You have until 10PM PST time Friday, May 4th to enter! If you are looking for the Geared for Guys blog hop, today's post is over at http://www.ribboncandyquilts.blogspot.com/. I'll be posting on Sunday! What cute blocks! 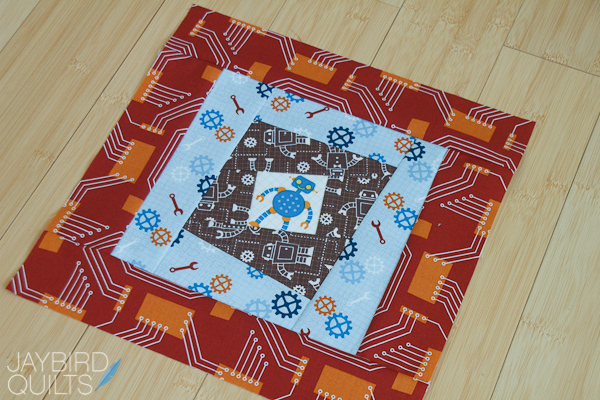 I just made a baby quilt with those robots a couple months ago. I love that fabric line. I think I'd make these blocks with some of the new Ghastlies. Is it too early for halloween quilts? Love it! I have some new Oh Deer! fabric and the birdies would be great to fussy cut! I'd use my Domestic Bliss, wasn't sure what to do with the prints, but I can see them working in this. 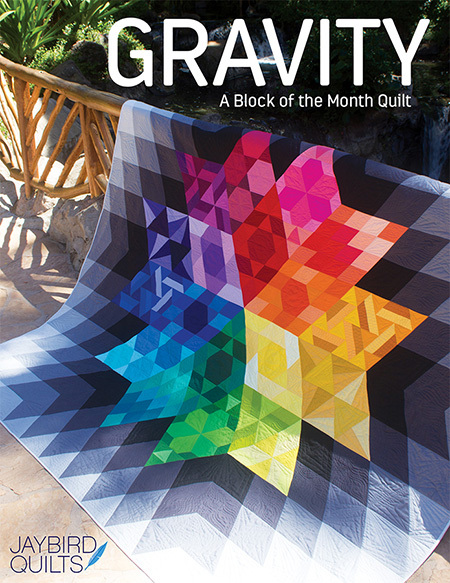 I'd love to try this block with some fussy cut animals and some Kona Solids in every colour. I would like to make this in black and white and red. I think my son would like it! I think a beach themed quilt would be cute, with the crabs from Going Coastal in the centers and the smaller scale prints around them. love your wonky square! i have some different robot fabric.. i think i would use that! I think I'd make it using either Outfoxed or 1001 peeps - it would showcase those prints beautifully! I think I'd go scrappy and fussy cut my favorites for the centers. I especially like your color gradient variation. well that robot fabric is to die for so I think I'd have to go there. The fabric you used is really cute. I have a stack of Moda Max and Whiskers calling my name, and I think this block would work well. Thanks for the chance to win! 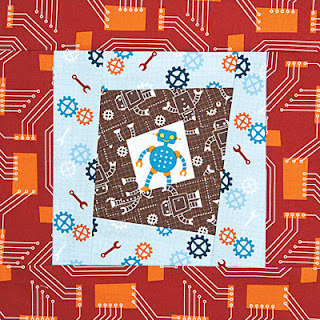 Cute block--love the fussy cut robot! I think I would make this block using The Lorax--I love Dr. Seuss! Thanks for the chance to win! I am thinking that the upcoming Tula Pink for Halloween would be great! I think 30's would be funky fun ! I think the London Fabric would be a great on eto use. Oh, such a cute block! 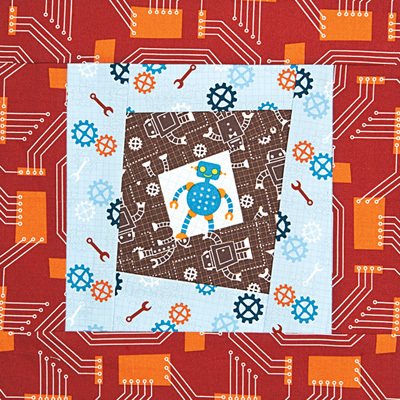 I just got some robotfabrics for my son and would use this fabric for it. But I think I would also love to try it with some of my scraps! Terrific block. I would have to make mine scrappy. Different fabrics for each block. Great block! I'd use Tidbits and Treasures. I'd fussy cut the centres from some Aneela Hooey fabric and use solids for the rest! I'd use some red and aqua! I have been stashing these adorable frog prints for years that I think this would be perfect for! I'd fussy cut Peak Hour by Riley Blake...so cute! My grandson recently carried a bolt of superman fabric around the quilt shop last time we were there, so we had to buy some! I'm thinking it would be great in these blocks. I love the gradients look - so I'd use Simply color. Thanks for the giveaway! I Love Your Robot Block! I Love Paper Piecing as well. I would make this block using Aqua and Orange and purchase the Robot Factory as well. 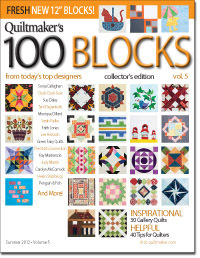 Thanks for this Great Giveaway of Quiltmaker's 100 Blocks Volume 5! Very cute robot block! I think I would try to use some solids like Kona or Bella solids to play with color. Thanks! I would use the Dino line for my grandson. What a great block. So versatile. Just about any fabric would look good as long as the contrast was right. I would love to use Cherrywood for this block. Thank you. Cute. So many people are worried about trying improv blocks for fear of getting them wrong somehow. I love that you have made a fun, wonky block paper pieced! Very cute!I have some fabric that I have had for a while that has bears on it. This would be perfect to use with this pattern. congratulations and thanks for the giveaway. I'm loving robots and wonky squares lately, so this is right up my alley. I'd use scrappy brights to make this block. I think I would make your block in vivid batiks in contrasting color combinations. 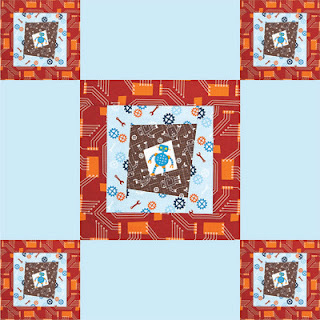 I'd actually use Robot Factory--I think this block suits it perfectly, and I have a big stack that I purchased to make something for my nerdy husband, who loves robots and electronics! I think it would be fun to make this block with Michael Miller's Backyard Baby line. I think the robot fabric you chose is perfect. Any little boy would love that. I would definitely pick that. I have some Commute by Jay-Cyn that might be PERFECT for this block! Fingers crossed! I like the way you fussy cut the robot motif and think I would do the same with some snowman fabric I have, then surround with "snowy" white and blue tonal prints. I have tons of novelties and coordinating fabrics that I've collected over the years that would be perfect for this block. I love the wonkiness of it. Thank you for showcasing the block in various settings! Cute block. I love robots and the wonky set. Think I'd use some of my frog fabric for the centers. I would use Batiks. Congrats! Great block! Since I'm an I Spy addict, I'd have to say fussy cuts (of anything). I don't need to win, but I like this block, I'm always open to new ideas to 'spy'. I would use either the Robot fabric or Doctor Seuss fabric. Since you have shown us what Robox would look like using different options and using Robot Factory for Kaufman fabric, this seems like the perfect fabric. It is so neat to see what your options are and what they will look like before you attempt to make them yourself. Thank you for participating and giving us all a chance to win such a sensational magazine. 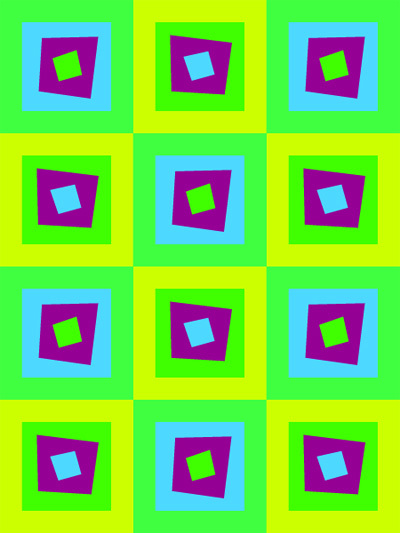 Beautiful block.I`d make it in green pink and purple.Thanks! I think I'd use a bunch of solids! Thanks for the chance! Cute block, Julie! It would be so cute using Ten Little Things, fussy cutting the owls and trucks...so cute. I think with a bit of fussy cutting I think that fabric line would make an adorable holiday quilt for someone. I use turtles when I can. I can see a seaside theme that's ageless. I like how your block showcases the center fabric. I would use a jungle fabric that I have. Very cute animals that could be placed in the center block and then different vibrant colors around. The food fabric would be fun to play with. Thank you for the chance to win a copy of the magazine. I would probably go with pinks for a 1st birthday quilt for my daughter. Congrats! I really like this block. It would make a great baby quilt using the owl fabric line......I don't remember who's line it is. This block would be perfect for the fabric I won. I want to make charity quilts with it, so something quick but fun. I have The down under fabrics and the animal print would look fun in the center piece. I love wonky and can't get things straight anyway, so wonky works well for me! Your block is fantastic and congratulations for being selected by the magazine! I was thinking maybe red, white and blue with a star fussy cut for the center block! I love wonky (my husband swears I made that word up so I really love it when other people use it and prove him wrong, lol)! Wonky squares! I'm so there! I love plaids - pretty much anything plaid and I can see using plaid fabrics then finding a northwoods fabric to fussy cut (love that term!) :) Thanx! I have a stack of Alice in Wonderland Fabrics that would work perfect with this wonky setup! I love your block. I would use an novelty baseball print - a quilt for my newest grandson. Great block, Julie! And those fabrics are perfect - what a great boy quilt! Adorable block, I would make it with Bella, using bright primary colors, so perfect for kids. Thanks. Other than the robot fabric (which really like), might try Lucy's Crab Shack by Sweetwater that is due out in a few months. Congratulations on your selection for QM 100 Blocks V5! I have a large stripe with people sitting at computers. I'd make the block large enough so I could fuzzy cut and put the people in the middle section. Great wonky block, Julie. I would use fabrics from my scraps, sorted by tones. The Lorax fabric would look cute in your block. Thanks! Love the robots. I would use the Jenny and Jack donkey fabric to make that block. It makes me smile every time I see it. I love the robots and that second version of a possible quilt layout is my favorite option. I think I'd like to make a boy version too so maybe some of Parson Gray. What a cute pattern! The little people in my life are all girls, so I think I would use fabric I found with big cupcakes on it as the center block with coordinating fabrics surrounding. Thanks for sharing the variations. I have some left over flannel from a new granddaughter's quilt and I would fussy cut the monkeys to put in the center to make a car throw. Thanks for the opportunity. I am inspired by your example with solids. That's what I'd make my quilt with! Thanks "sew much" for this chance to win. Fun block! I made something very similar recently using Hometown Reunion, so that's the fabric I'm feeling for this block at the moment! With three grandsons four and under I'm kinda loving your robot one!! Must look for that fabric!! I think that looks like a great block to use for my grandchildren --- the trick will be figuring out what fabric to use. I have some chicken fabrics and one of my little ones loves farm stuff --- think that will work out. I think you have the right idea with something whimsical. I'd use some cute kids' fabric - not sure which, yet! Since Christmas is drawing nearer each day, I would use some of my vintage Christmas fabric for this. Cute and fun little wonky robot! Thanks for a chance to win. Cute use of the robots! I would choose solids first. I think it would offer some punch, but any print would look interesting. Flags, flowers, etc. I'd love to make it in some of my Kate Spain or Amy Butler stash. Thanks for the chance to win! I would like to do it using bird fabric especially hooty owls! I think it would be lovely in Jinny Beyers with a color degradation!! I'd use Christmas fabric because I have lots of it and would be able to fussy cut scenes that I like. 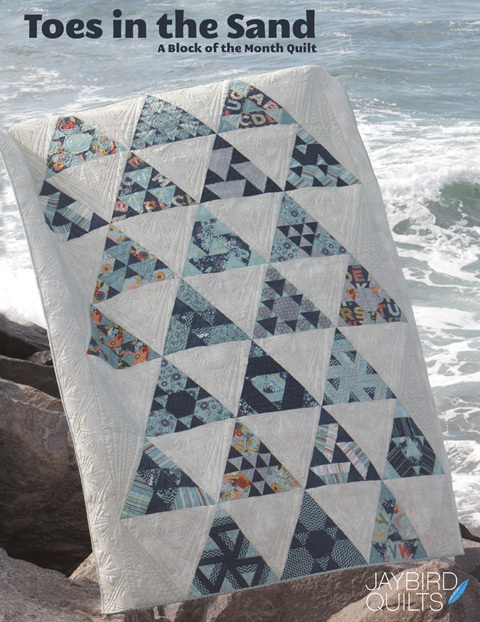 But I haven't made a paper pieced quilt yet so that would be my challenge. I think some fun novelty prints would work well , my grandchildren would love all that wonkiness . Thanks for the chance. Your robot fabric is adorable! I'm thinking Curious George for my great nephew? Thanks for sharing! This block would make a cute quilt for my grandson. Of course it would have to have pirates in the center. I'd have to make the block in my granddaughter's favorite colors, purples and pinks. I'd try to find some cute novelty prints in those colors to use for the centers. THis one calls out for princess fabric for my granddaughter. Congrats on being included in this issue. i like the look of using solids for the block! 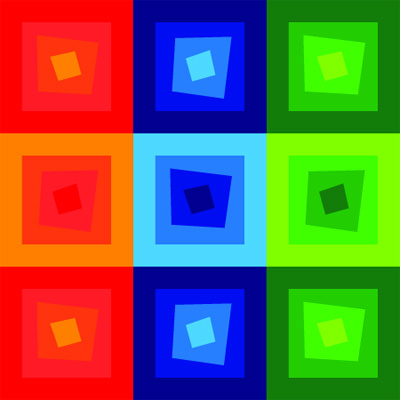 either a random color mix or the color gradation. would look awesome. congrats on having a block in vol. 5! cute block. I think I would try it in solids. Love your block. I might try it with solids. It would also be cute with the animals from Alphabet City in the middle. Lots of possibilities! I think it would be great to fussy cut some of my hoarded Heather Ross prints! I would fussy cut some of my hoarded Alice in Wonderland prints. It would be perfect with the wonky setting. I really like the looks of the block using solids, maybe a bit of a rainbow thing going on? CONGRATS-THIS BLOCK IS SO NEAT! I'D USE REDS+WHITES FOR MY GRANDDAUGHTER! THANKS! I have some fabric with dogs on it, that would look like they were peeking out the doghouse door, think that would be cute! I just bought some pretty and whimsical frog fabric and I was trying to decide how to use it to highlight the frogs...this is perfect. I've got a lot of kona I'd like to use! I had been looking at some children's fabrics today that I thought would be great for charity quilts. Your block would be perfect for it. Thanks for the giveaway. I would use Amy Butler, flowery would be pretty. I love to use fabric from my stash, so I would shop there to find a focus fabric....no robots in my stash!...but I have some adorable zoo animals that would work great for a baby quilt! I would love to make a summer quilt w/ Lucy's crab shack for my sister. Love Sweetwater fabric. thanks and congrats on a cool block! Love the blocks! I love Alegria by Cloud9 for the moment, so I think I would use that line. I didn't think this would be a block I would like so much until I saw your layouts with the plain and gradiant fabrics. Love them. I would also use Robot Factory by Caleb Gray. This line is so darn cute and I can't wait to get my hands on some! I think I would use meadow friends for this - I have a little guy to make for. I love the 'motion' the blocks make. I think the Lorax fabric would work well for this block. Thanks for sharing. What a great block! The magazine looks really good also. I would probably use some Hope Valley as I have a huge stash that needs to be cut into. Thanks for the chance to win! What a really cute idea for a block and layout. I would have to do some special shopping for just the right fabric. But hey who doesn't like to shop for fabric? Thanks. I liked the ombre fabric sample and would use that fabric. It would be scrappy with a cute middle. 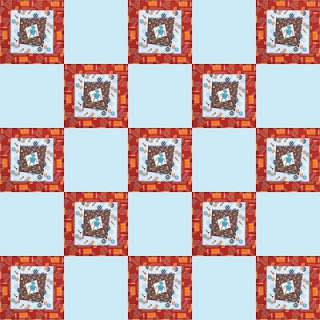 I would use the new Ed Emberley fabrics for your block. So cute! I'd use my stash and make some fun, casual blocks. I think A Walk in the Woods would be darling for this block. I would think Tula''s "Prince Charming" frog would look good fussy cut in that block. So I answered the question. Now can I say PICK ME? I really like the wonky blocks they look fun to make. I also like the block in the solid colors, so some Kona Solids come to mind for that modern look. Congrats on being published again. You are everywhere these days. I think I'd do a scrappy around a print middle like you did. I've got some small print blocks that need a border around them & this would be perfect. I'm trying so hard to use scraps....so that is what I would use for this block! Perfect, perfect, perfect...I have Joy Allen's Princess Ballerina fabric already and it would be PERFECT to fussy cut. Combine it with RJR's Bella ballerina line and my granddaughter will get her "dance" quilt! 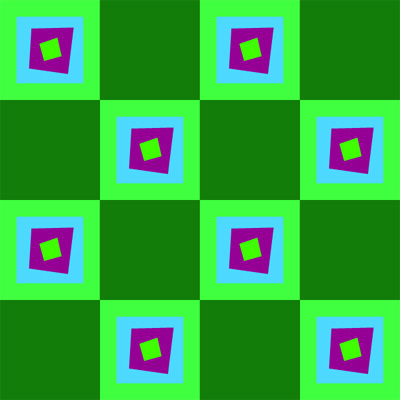 Love your "wonky" square. There's a great new line called Pet Park that has some fussy-cut-able prints. It would be adorable! Thanks for the chance! I would love this block in Genine's Alegria fabrics. I think this would be fun done in plaids and stripes. Very fun block for kids. Id use that new dino cartoon fabric that Ive seen popping up on blogs lately. Think its calle Back In Time. any kid fabric would be darling. Thanks! 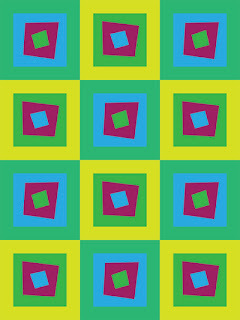 I think your block would look great in Cone Zone fabric by Caleb Gray Studio for Robert Kaufman. 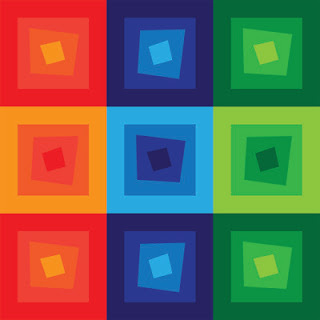 I would use my Cats, by Laurel Burch and find some solids to compliment the great colors of the cats. 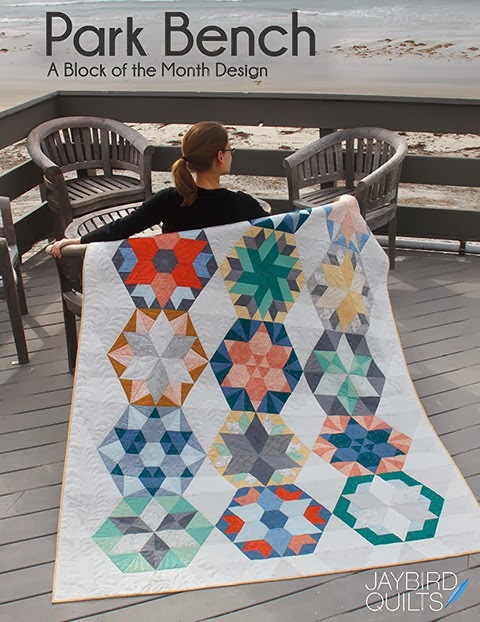 Love the block ..I think I would like to try it in Batik fabrics. nice block! and the robot is perfect ! I think this would be great in solids like your last design. I might have to give it a try. I have a grandchild due in October, I'm thinking of fussy cutting some fun halloween fabric! I would love to make this in Flea Market Fancy, think it would look great! Thanks! I think I would use the same as your original--love the robots! I would do a scrappy version of this wonky block so I would pull from my stash! Thanks so much for the chance to win!! Great block! I like the solids look, but using up scraps would be great as well. I'd fussy cut some owls from the Life's A Hoot collection to make your delightful block. Thanks for the chance to win. Love this block and would use what are traditional Amish colors. I don't think you could make your blocks with out using Robot Factory! So cute! 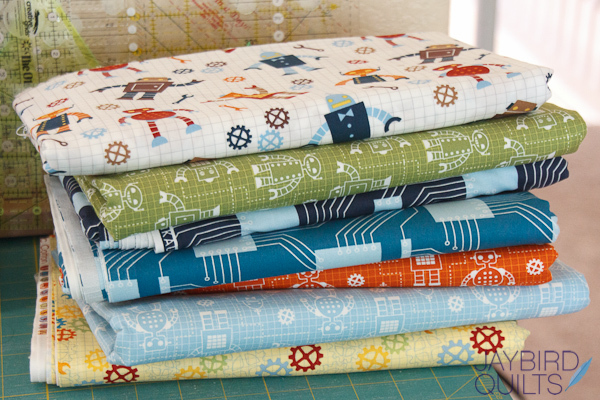 Well, your block would look great with any fabric line at all because it is so cute! Congratulations on being chosen to be in vol 5! I also have all 4 previous issues and I hope to have my hands on this one very soon! Your block is too cute (love your fabric choice! )...I'd use some of the many batiks I've been collecting. Thanks for the chance. That would make a fun toddler quilt...I would find something fun to fussy cut - probably a theme such as animals or children. I would make a quilt for my grandson out of Moda's 5 Funkey Monkeys by Erin Michael...I call him my Monkey! Thanks for chance to win Volume 5..I have the first 4 and dream of making one of each block...some day! I would use Moda over the rainbow color wheel and Let the Sunshine in for a wonky quilt for my grandkids. i have some gorgeous rhapsody by janespolar from northcutt that will be left over from a mystery quilt that i would use. i'm so glad i got a lot of this collection! thanx for the chance to win this copy of 100 blocks. I love seeing something for the grandsons. I think I would use a bugs themed fabric. Cute block! I like it set on point and would probably do something very scrappy! I would use Pear Tree and fussy cut those cute little partridges. I love your robot fabric. I would use some Kona plus some Melody Miller Ruby Rising I think. Thanks for the chance to win!! I would dip into my collection of cat fabrics to make this cute and simple block! I think I might use some Kaffe Fassett fussy cut for the centers. Thanks for the chance to win. 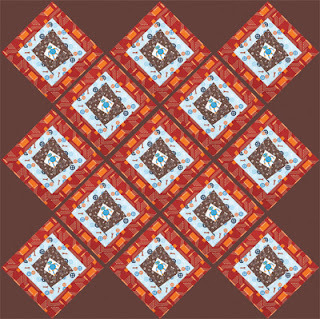 I think Bonnie and Camille's new line marmalade would give a funky vintage meets modern spin to a quilt. Thanks for the chance. This is really cute. I would use mixed up fabrics and make it like an I Spy quilt. 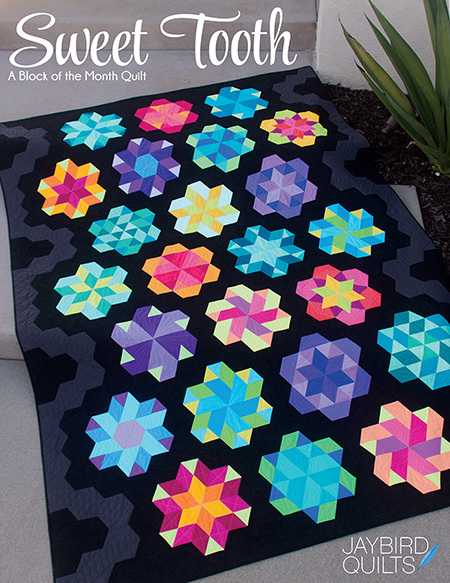 honestly, after your examples i would love to make a solids quilt using your block! I loved the look of the blue/green/yellow/pink! I think I'd use the Celebrations / Mardi Gras fabrics from Robert Kaufman. They're pretty, but the larger-scale print would only work in a block like yours! I have some great beer mug fabrics that would look fun fussy cut into these blocks for my hubby and my nephew, both backyard brewers. What a cute block! I would fussy cut using the Sandy Gervais collection - Objects of Desire. Oh My, I can see it now. What fun! 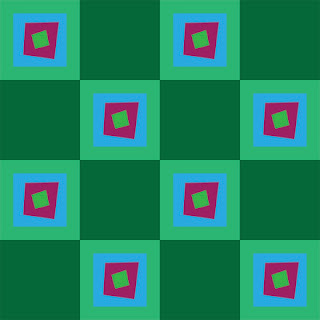 I would use hot pink and lime green with some white to make a quilt for my granddaughter. I love Northcott fabric so would look at it. My LQS will love seeing me come in and start picking fabric. I liked the fabric you used. I would have to try to find it so my grandson could have robot blocks. I'd use "Fiesta," by jennifer Sampou. It has a range of colors & patterns that would look good "wonked." I would use some John Deere fabric for this block..Congrads! !